Maracay is a Venezuelan city, capital of the municipality of Girardot and the state of Aragua. It is located in the central region of Venezuela, on the banks of the Cordillera de la Costa, and 109 km southwest of the city of Caracas. 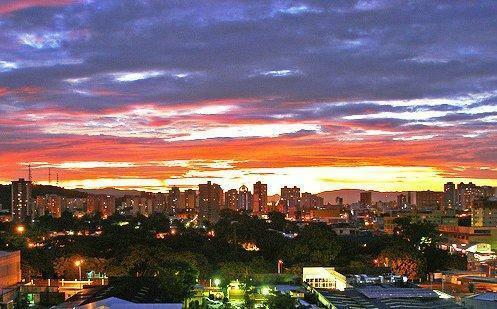 It is often nicknamed “the Garden City” and, to a lesser extent, “the cradle of Venezuelan aviation” and “the cradle of great bullfighters”. Tourism is one of the main economic activities of the city, as most Venezuelans and foreigners from different countries cross it, Maracay being a crossroads in the center of the country, located at the confluence of the roads of Troncal which attracts tourists of all the parts of the national territory, the Llanos and the Andes being its main points of origin. Maracay is the second most touristic city of Venezuela after Caracas. Below are some favored destinations that you can visit during your visit to Maracay! A skyscraper located in the Venezuelan city of Maracay is the highest of this city, in the state of Aragua. It has an estimated height of about 125 meters and about 32 floors, making it the ninth highest tower in Venezuela. In addition to being one of the most recent high-rise constructions, it is one of the references of this city, designed with a modern architectural style, with the use of glass, brick and reinforced concrete, inaugurated in 1999, the building bears the name of the Italian-Venezuelan businessman Filippo Sindoni, which is why the name of this tower is renamed by its name. It is located between two of the city’s most important avenues, Bolivar Avenue and Miranda Avenue, and offers a view of the tower from almost any point in Maracay. An urban park located in the heart of the city center of the Venezuelan city of Maracay. It was inaugurated in 1930 by General Juan Vicente Gómez, then President of Venezuela. The Bolívar Plaza is approximately 320 meters long and 106 meters wide and has the characteristic of being a good example of how pleasant vegetation can be in the center of the city. The Maracay Opera is a concert hall of the state of Aragua, Venezuela, which began to be built in 1932 on behalf of the President of Venezuela, the dictator Juan Vicente Gómez. It was declared a National Historic Monument on April 15, 1994. The site chosen for the construction of the theater is a vacant lot located next to the Plaza Bolívar de Maracay, in front of the Hotel Jardín and the Maracay Clinic, which form a an architectural ensemble of unprecedented proportions in Venezuela. An institution specializing in visual arts located in the city of Maracay, in the state of Aragua, Venezuela. It was inaugurated in 1966 under the mandate of the President.